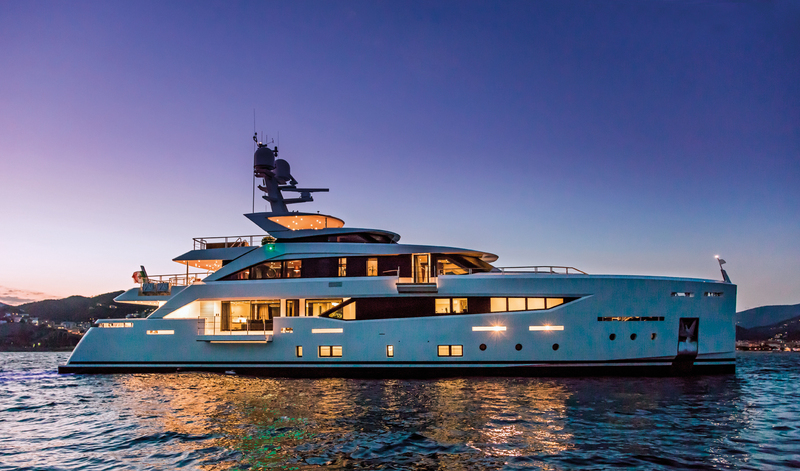 When Serenity was presented to the public in early 2014 at the Dubai International Boat Show, she was still just a scale model lighting up the display at the Mondomarine stand. 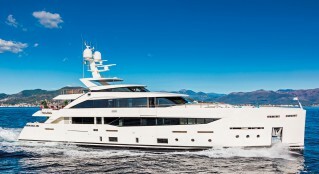 However, one of the visitors went further than an admiring glance and decided to take the plunge, placing an order for the construction of this motor yacht. 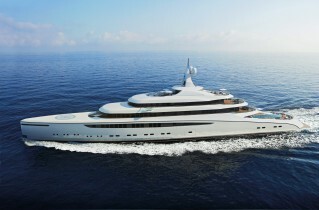 A mere eight days after her launch on 14 September last year, Serenity, now transformed into a magnificent reality, was on display at the exclusive Monaco Yacht Show. This was the prestigious setting for her official high society debut, reflected seductively on the water where she was serenely moored at the Port Hercules quayside in Monte Carlo. 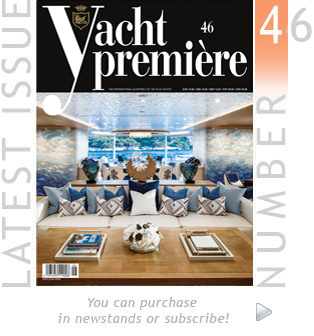 Yacht Première has followed the development of this vessel since the beginning, publishing a preview of the project during construction in issue 32. 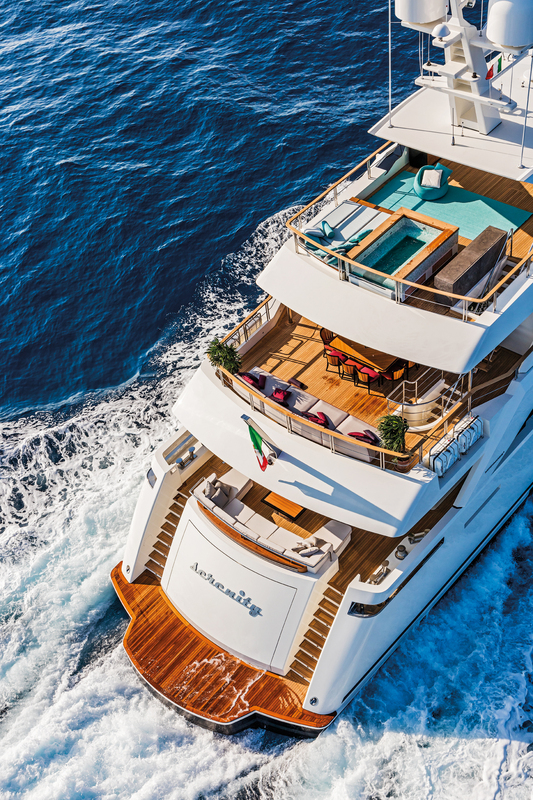 It’s a project with particular importance for Mondomarine, and in fact Serenity’s delivery happily coincided with the celebrations for the centenary of Cantieri Navali Campanella, an event that we covered in a special supplement to issue 37. 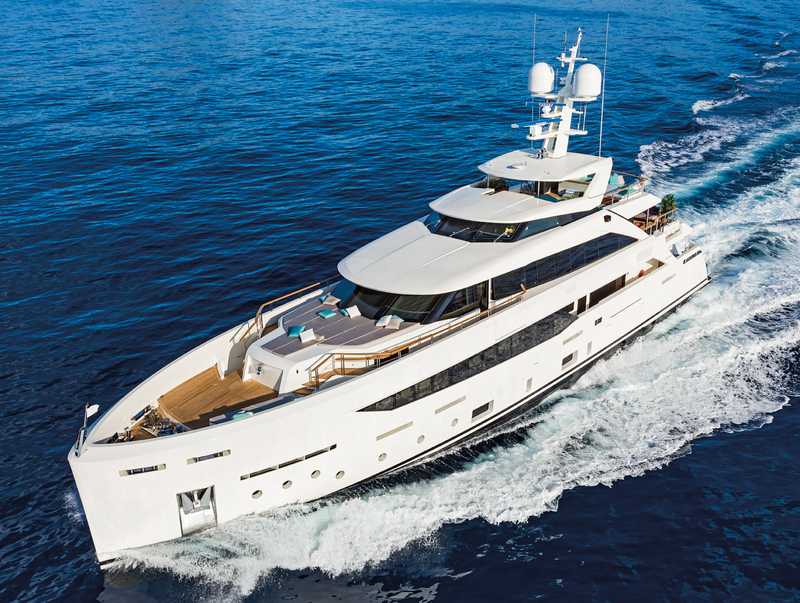 Both the personal meeting and the commercial agreement between the Middle Eastern owner and the Italian shipyard took place through the professional brokerage of SF Yachts, a luxury yacht services company based in Dubai in the United Arab Emirates. 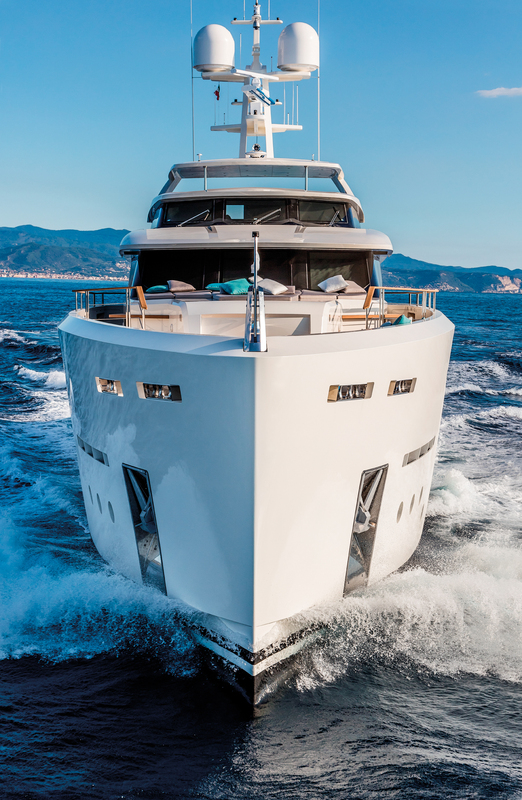 The company specialises in consultancy, management, brokerage and charter, and it is also the exclusive Middle East sales agent for motor yachts built by Mondomarine. 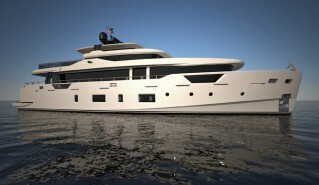 Serenity herself is directly derived from the SF40 model, part of the new series of motor yachts known as the SF line, which was prepared directly as a result of an initiative by SF Yachts. 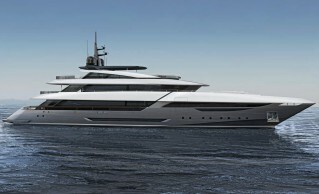 This prestigious new series is being produced exclusively by Mondomarine and was expressly designed to offer an international clientele a highly innovative product at the cutting edge in terms of technology and aesthetics. This means that the series can respond constantly and effectively to the changing trends and requirements of a constantly evolving global market. The SF Line is currently available in a wide range of models with lengths from 30 metres / 100 feet to 60 metres / 200 feet, with semi displacement all-metal builds using a special light aluminium alloy for both hull and superstructure. 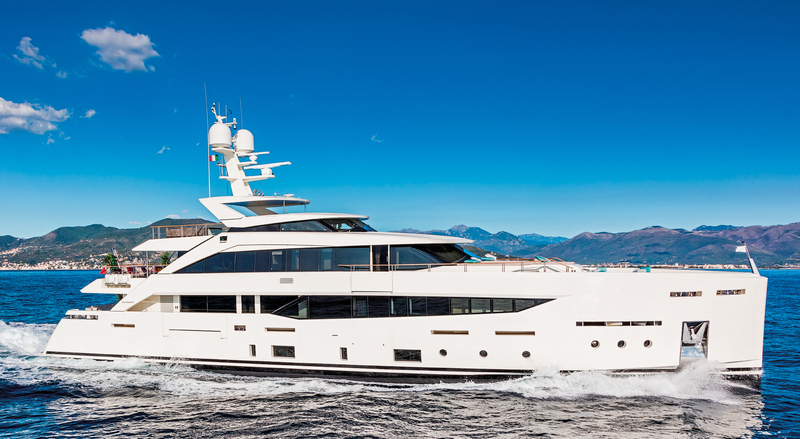 Based on naval architecture developed in-house by the Italian shipyard with the Mondomarine Engineering technical team, all the motor yachts in the SF line have exterior design and interior layout by Luca Vallebona. The Italian designer prepared various alternative proposals for each model in the new series and developed numerous different versions that include the interior design as well as the interior layout. 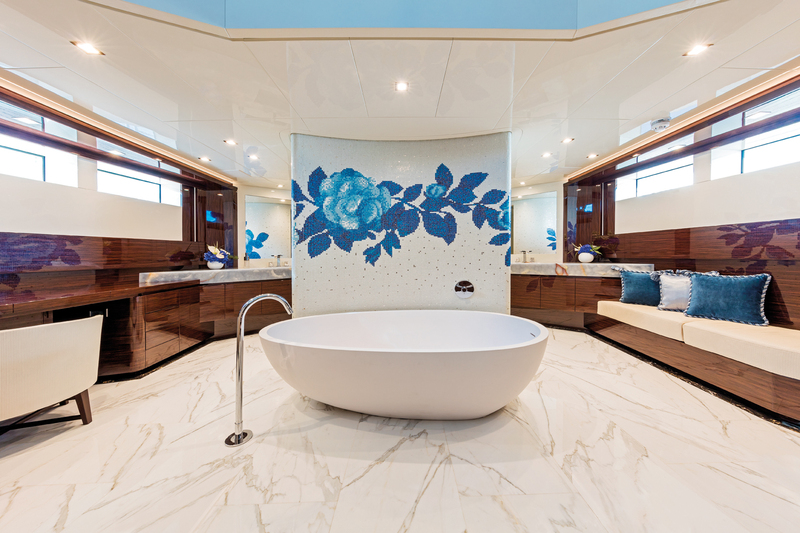 The Owner of Serenity certainly took full advantage of this huge array of options, but naturally made some changes of his own to meet his personal needs and wishes. However, most of all he wanted all the interiors to stand out in a very individual way to express his own personality, calling extensively on Luca Vallebona’s substantial professional experience. The end result is a unique, entirely original creation: Serenity. Now all that remains is to look over the ship, both inside and out. Serenity has a modern, contemporary exterior design of great formal elegance featuring balanced, sculpted shapes with a precise, clean linear geometry. However, the rigorousness of the basic geometry has not been pushed to the limit of excessive rigidity, so the combination of lines and shapes has a pleasingly harmonious overall appearance. The composed coherence of the overall effect is suitably reinforced by the uniform purity of the monochrome white livery of the hull and the superstructure. All of this gives the vessel a really compact look, suggesting expressively and unequivocally its protective solidity and reassuring power. Inside, Serenity has a contemporary interior design and interior decoration in a simple, clean but in no way minimalist style, using an interplay of refined details and pairings. It is all the work of designer Fatema Almaidan of SFL Design, the Dubai-based design company. 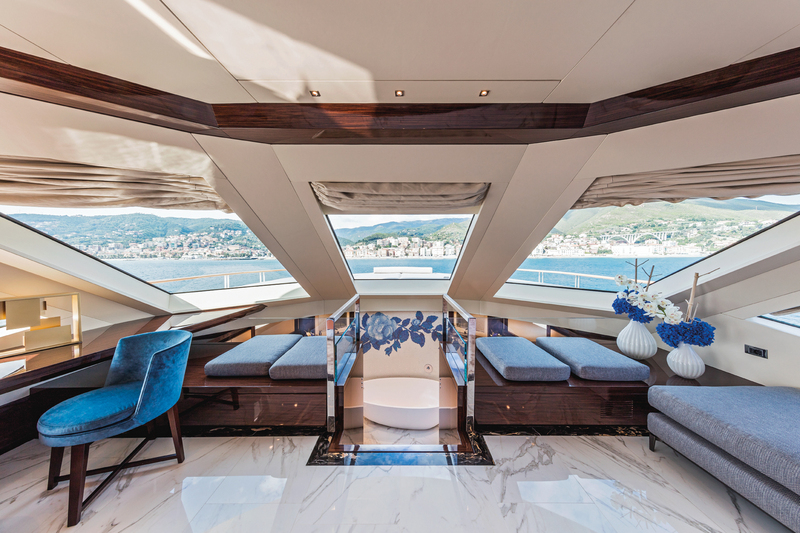 In terms of layout, the interiors on board are comparable with those of a light-filled panoramic urban loft, but in this case one with a spectacular sea view. This coherent aesthetic continuity is expressed through simple luxury and measured elegance to achieve a sublimely warm, welcoming effect fully immersed in an atmosphere of sophisticated simplicity. A skilful lighting system plays its part in this, ably mixing natural and artificial light to create a constant dialogue between vertical and horizontal surfaces where each element is closely linked to others. 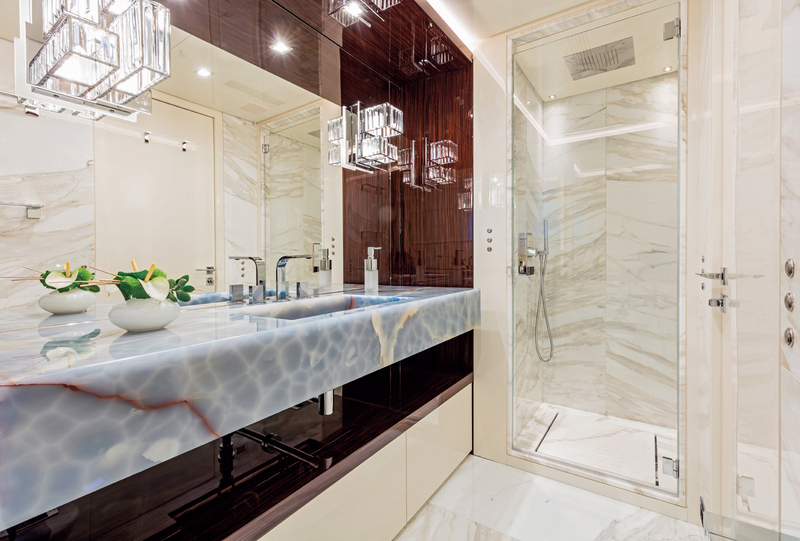 Pairings of form, material and colour coordinate or contrast with one another, based on a variety of solutions chosen for the fittings to suit the different areas on board. Light colour tones dominate throughout, and were the preferential choice for both hard materials such as lacquered wood and marble, which are used for the cladding of surfaces, walls and floors, and soft materials such as fabrics, which are used on beds, chairs and sofas. Some dark tones were also chosen to emphasise and contrast with architectural elements such frames and fixed units, and loose furniture such as tables. 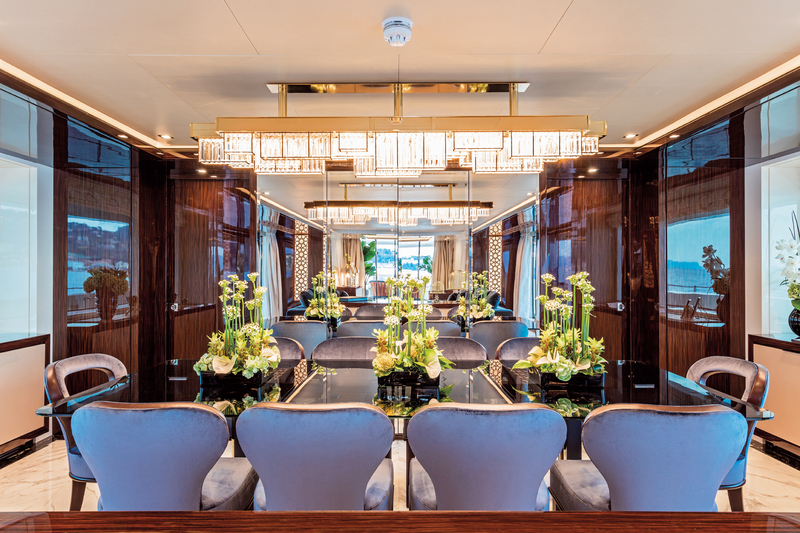 Serenity’s layout is pragmatically functional in terms of the spaces and rational in terms of access ways, with generous external areas and interior spaces that are extremely habitable both while cruising and lying at anchor. 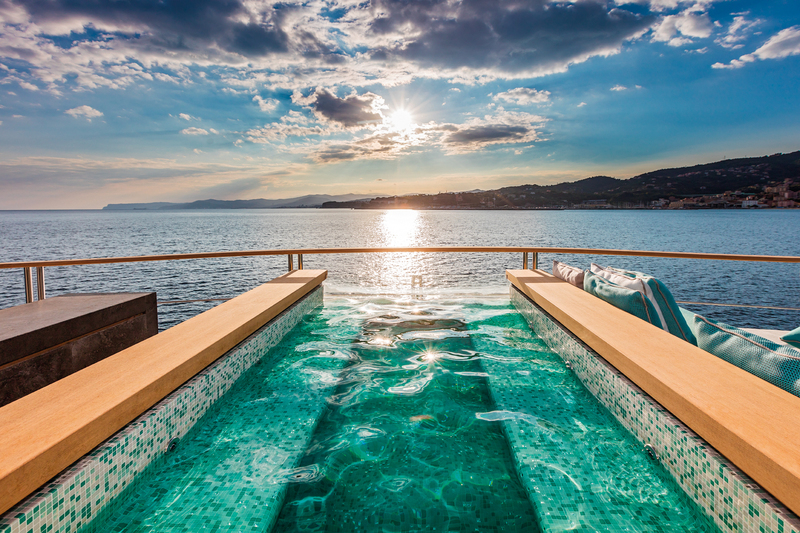 The fly deck has two different areas: one is completely open, laid out as a sunbathing area with sun pads and a custom pool, while the other is fully covered by a large hard top, intended for lounging and al fresco dining and laid out respectively with sofa seating and a dining table. The raised pilot house space is located between the fly deck level and the upper deck level, with a pilot’s chair and instrument panel. 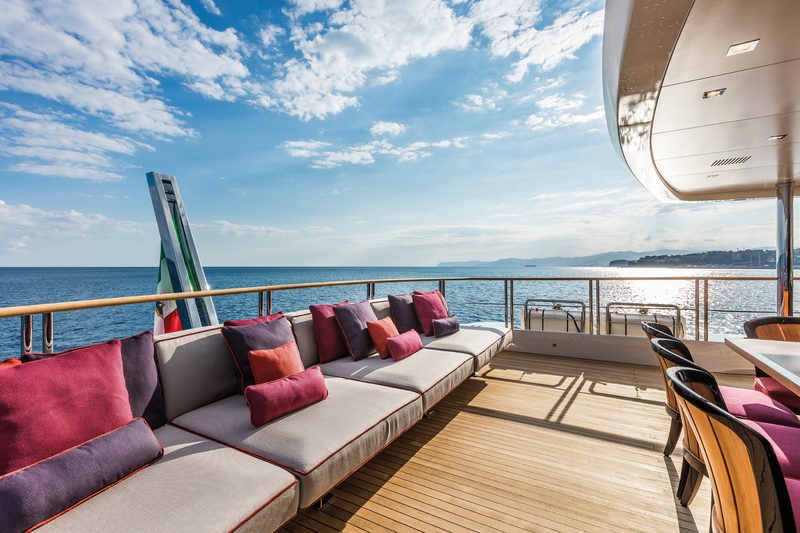 On the upper deck to aft, there is a terrace partially covered by the overhanging deck above, with a lounge area fitted out with sofa seating, a bar area and an al fresco dining area with a dining table. 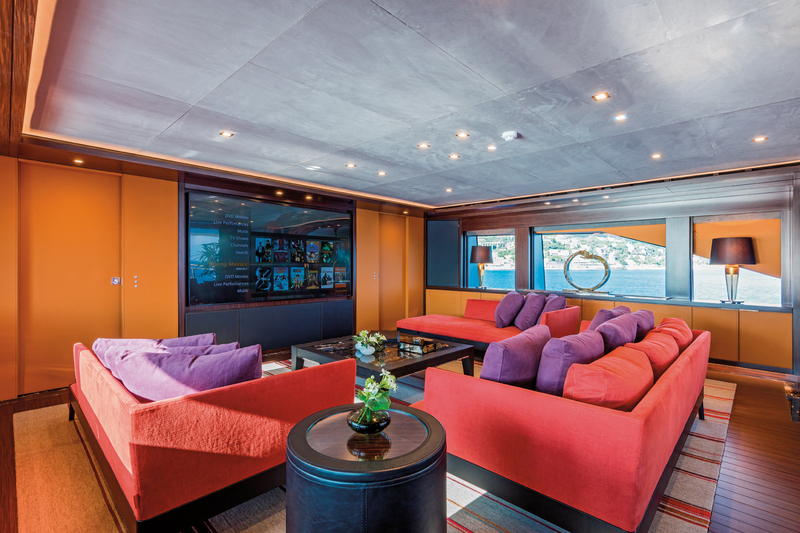 Inside, the panoramic sky lounge is intended for use as a cinema / television room, laid out with sofas arranged around a coffee table, while alongside it there is a pantry and a day head. 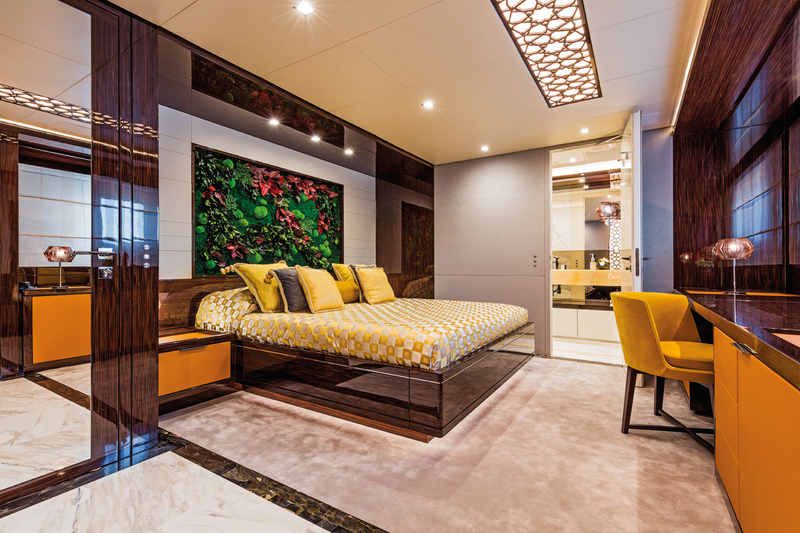 A small lobby leads to the master stateroom, laid out on two staggered levels: the upper level has a double bed, a chaise longue and a desk / dressing table, while the lower level is a single huge space with wardrobes, dressing table, chaise longue and standalone bathtub. 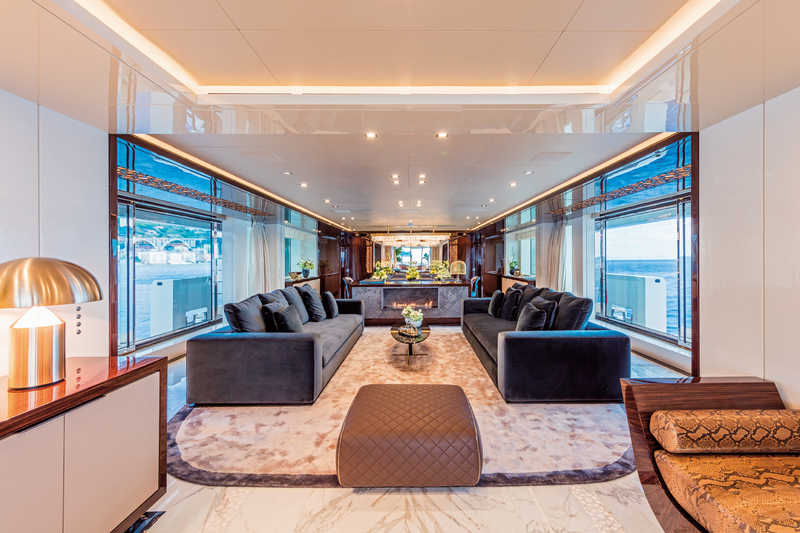 On the main deck, the aft wheelhouse is laid out as a lounge area with sofa seating and chairs arranged around a coffee table. Inside, following an entrance area with a small storage unit and a chaise longue, the salon is a large single space conceptually subdivided into two different functional areas. One is a living area with two sofas facing a coffee table, while the other is a dining area laid out with a dining table and chairs, as well as small storage units. The pantry and galley are located amidships alongside the crew mess / lounge, while a small lobby with a day head and laundry room provides access to the staircase down to the deck below and the guest quarters. 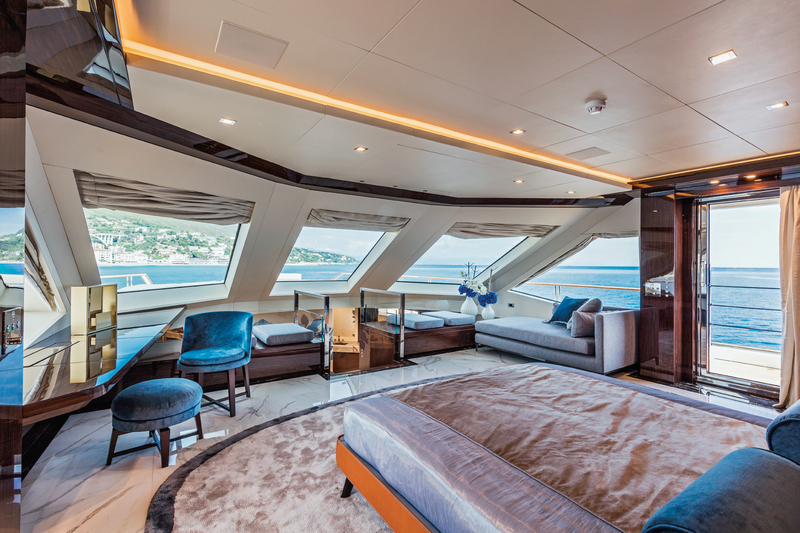 The lower deck features four guest staterooms, each with an en suite bathroom with a separate shower cubicle and a wardrobe. Two of these staterooms have twin beds while the other two each have a double bed, a desk / dressing table and an armchair. The crew quarters are located in the forward section of the deck, featuring four cabins each with a wardrobe and a bathroom with separate shower cubicle. One of these is the captain’s cabin, with a double bed and a desk, while the other three are for the crew, each with two bunk beds. 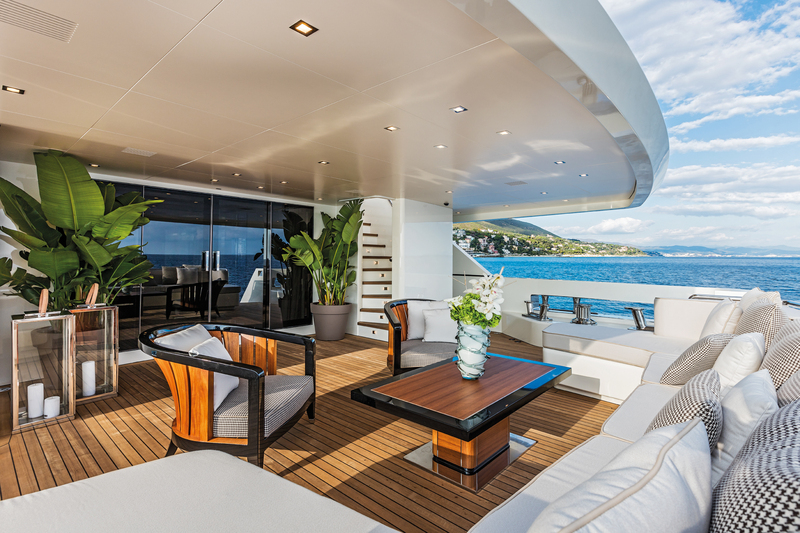 The garage for the motor yacht’s main tender and water toys is located in the aft section of the deck.